It’s finally here! VMware vSphere Update 2 released on March 16th, 2016 and is available for download. With it comes many new features and of course bug fixes. Read more…VMware vSphere 6.0 Update 2 is available! Most of the community expected Windows 10 to be released fall 2015, however Microsoft made a announcement on their blog that it will be released summer 2015 instead. There isn’t a date set in stone yet but months sooner than expected is welcomed! Windows 10 will be a free upgrade for Windows 7 & 8 users for the first year as Microsoft introduces their subscription based plan. There hasn’t been a price set by Microsoft for this subscription plan yet. HP already has their customized ESXi 6 image available, however at the time of posting this Dell hasn’t released their version. 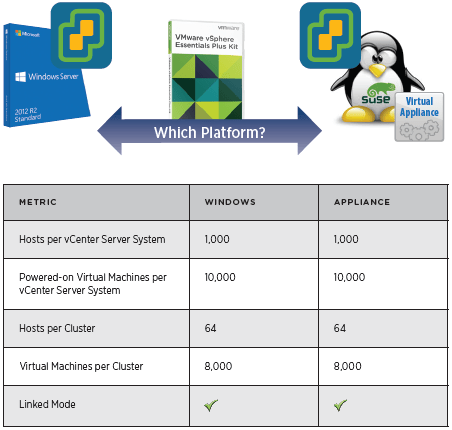 – What’s New in VMware vSphere 6.0? – VMware Announced vSphere 6!!! vMotion across vCenters: vMotion across data center and vCenter boundaries that vSphere 5 had. vMotion across virtual switches: Basically enables the above, can vMotion across Virtual Standard Switch (vSS) and Virtual Distributed Switches (vDSs). Fault Tollerance: Now supports 4 vCPUs, up from 1 vCPU. vVols (Virtual Volumes): New storage feature that allows virtual machines to interact with the storage directly without the need of VMFS LUNs. 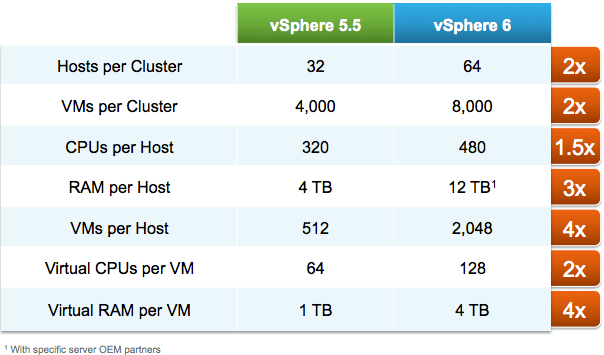 What’s New in VMware vSphere 6.0? What’s New in VMware Virtual SAN 6.0? What’s New in VMware vSphere with Operations Management 6.0? VMware announced an online event “that should not be missed” scheduled on February 2nd. There are many rumors floating around the net but I personally feel vSphere 6.0 will be announced. Excited to see what is announced!! Register Here! This event is so BIG that we’re offering broadcasts around the globe the entire week of February 2…and continuing the excitement throughout February. All event registrants will automatically receive access to additional content, engagement, and activities via our online event platform.